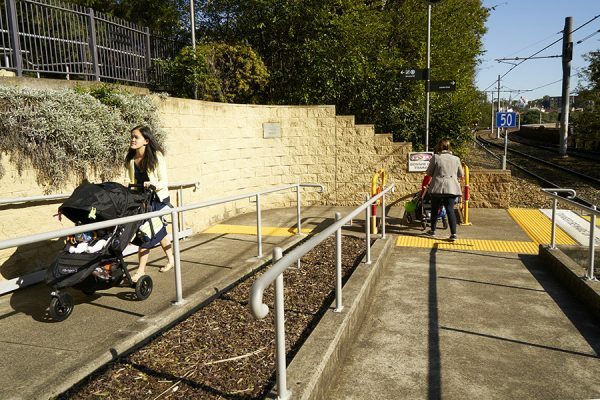 Architecture & Access has delivered key pieces of the impressive Sydney Light Rail transport infrastructure meeting a range of design, compliance and usability requirements including Disability Standards for Accessible Public Transport 2002 (Transport Standards). 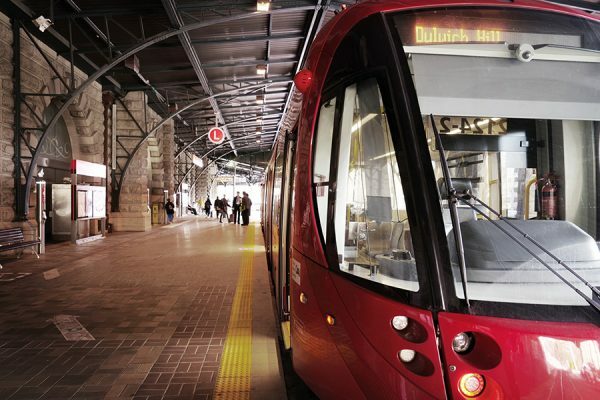 “This project showed our unique capacity to provide integrated access consulting, design, project management and auditing services for major public transport projects,” says the project manager Aaron Stowe. 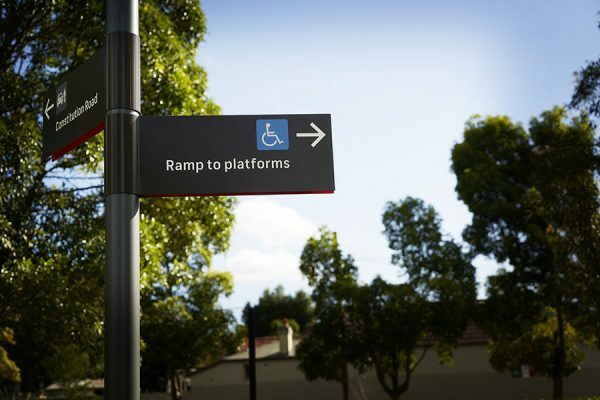 access audit and upgrade of the existing infrastructure and benchmarking against the requirements Disability Standards for Accessible Public Transport (Transport Standards). The Sydney Light Rail incorporates a 12km route integrating major interchanges with other transport modes at various locations throughout Sydney. The services features ‘turn up and go’ light rail conveyances operating up to every four minutes in the peak and as required for special events. Architecture & Access was the lead consultant tasked to design new shelters to replace old shelters on existing Stops. This involved consideration of structural issues related to shelters fittings, posts and furniture, wayfinding and signage, luminance contrast and consultation with electrical and structural engineers, landscape and graphic designers. The design consulting work was undertaken to meet all applicable rail safety, heritage and planning requirements, and to ensure that the physical design of the Stops, and the arrangement of furniture and equipment, provided an intuitive aid to wayfinding. 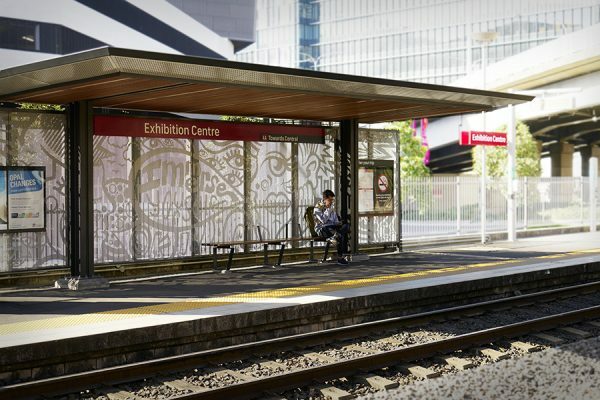 Architecture & Access coordinated the installation of the new shelters, which incorporated beautiful perforated metal art screens commissioned by TfNSW, designed to integrate a sense of place and community connectedness. Architecture & Access played a key role in the risk management, providing Safety in Design review and onsite risk assessment of site-specific safety issues and recommendations for mitigation. Design verification was undertaken to ensure that everything was built as documented. Architecture & Access undertook the Access (DDA Compliance) Review of the architectural plans and specification including fixtures, finishes and shelter layout on Stops. 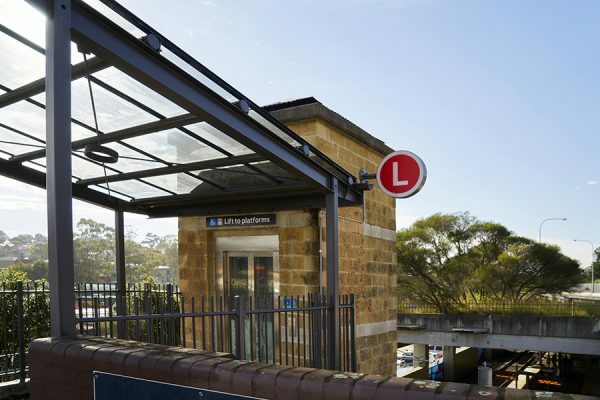 TfNSW undertook the design for the wayfinding and signage package through Dotdash. Architecture & Access transposed the Wayfinding package onto architectural plans, including set-outs for new signage, based on surveyed drawings.